The Missouri State Capitol building in Jefferson City, Mo. The Missouri Senate has passed legislation that would lower the age for getting a concealed firearm permit from 23 to 21. The conceal-carry language was added onto a larger firearms regulation bill. The bill's Senate handler, Brian Munzlinger (R, Williamstown) says lowering the concealed permit age to 21 would bring Missouri into line with most other states. “It just provides a way for our legal, law abiding citizens (to) protect themselves from criminals who don’t obey the laws,” Munzlinger said. The bill passed 27 to 6, mostly along party lines. All six “no” votes came from urban and suburban Democrats from St. Louis and Kansas City. Joseph Keaveny (D, St. Louis) is concerned that lowering the concealed permit age could result in more gun violence. The bill now goes to the Missouri House, with just two days left in this year’s session. If it passes there, it will go to Governor Jay Nixon for his signature or veto. Missouri’s concealed carry law first took effect in 2003 when the General Assembly overrode former Governor Bob Holden’s veto. The National Rifle Association says Missouri's age restriction is the highest among states that allow concealed gun permits. This year's bill also would allow state officials and their staff to carry concealed guns in the Capitol if they have permits. 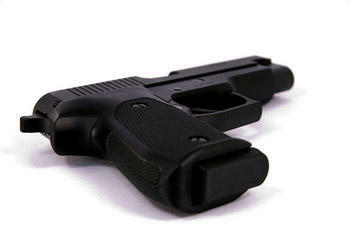 Missouri House members have approved legislation expanding the state's concealed gun laws. The measure would lower Missouri's minimum age for getting a permit to carry a concealed gun from 23 to 21 years old. It also would allow legislative staff members and statewide elected officials who have permits to carry concealed guns in the Capitol. Lawmakers who have permits already can bring a concealed weapon to their meetings. The legislation was approved 117-38 on Thursday. It now goes to the Senate.